Hardly surprisingly, the UK’s alleged exit from the European Union – the largest vote in the nation’s history and the biggest constitutional upheaval for many years – has provided endless fodder for cartoonists to satirise and capture the country’s character throughout this tumultuous time. 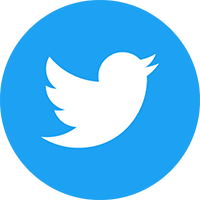 From backstops to transition periods and regulatory alignments, the minutiae of the withdrawal has held the nation in vacillating states of anxiety, bafflement, boredom and frustration for the past two and a half years, with no sign of it abating. 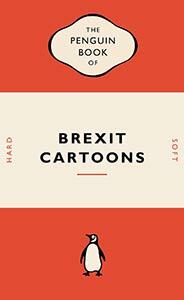 The healthiest response to the relentless panic-inducing news is to have a hearty laugh at it all – and The Penguin Book of Brexit Cartoons will provide that much-needed light relief. A grand total of one hundred and two cartoons are reproduced with the kind permission of the sources, which includes top periodicals and newspapers such as The Spectator, Private Eye, The Telegraph, featuring best-loved cartoonists including Matt, Richard Jolley, Grizelda and Nick Newman. This title celebrates their timeless work and undoubted contribution to capturing and moving public opinion. Whichever side of the Brexit debate you are on – and it’s proven such a divisive topic it’s hard to have avoided locking horns on the subject with the disputatious at dinner parties – there will be cartoons that appeal and tickle your funny bone. The broad approach is neatly flagged by the “hard” and “soft” on the title page – a delightful detail. Many illustrations pinpoint the bitterness of feelings on both sides: you’ll find a pub with arrows pointing in opposite directions asking Remainers and Brexiteers to stick to their own side; an old gent wearing boxing gloves on his way to visit friends who take a contrary view, his wife wearily resigned to another argument; and a pub saying “No Brexit negotiating at the bar”. Perhaps best of all, the politicians in the UK government and the EU, who are currently seeing who blinks first whilst their citizens’ lives hang in the balance, receive both barrels from the satirists, best summed up by a guide dog approached to lead the Brexit negotiations. The worst thing about the book is that it takes only ten minutes or so to read, and it’s very hard to resist devouring it all in one belly-laugh sitting. Nobody wants Brexit dominating the news headlines, but we do need more good-natured distractions like this one. The Penguin Book of Brexit Cartoons is the perfect Christmas stocking filler. If you’re worried about a Brexit row breaking out when too many family members are confined to the same space, tired and eggnog-fuelled, then this charming title may have what it takes to bring about peace on earth. Take back control with the gift of satire.